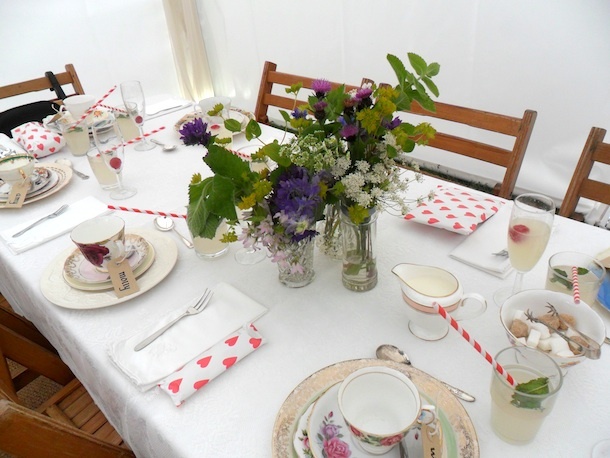 The couple had chosen to have the old school look with trestle tables dressed with vintage china meadow flowers and candy cane straws. 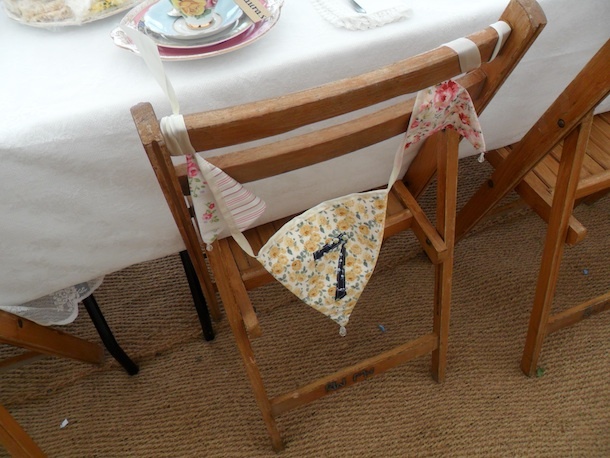 Someone had made some very cleaver bunting table numbers which were used on the folding wooden chairs. 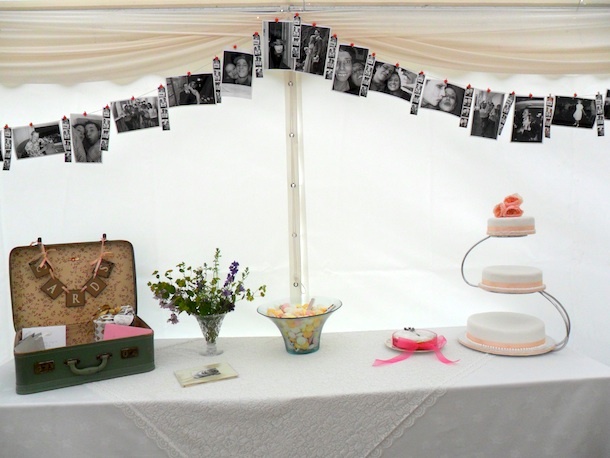 The feature table at the end of the marque had an amazing collection of quirky photos and the cutest green suitcase for cards. Carly had bought this suitcase on meetings with me and I fell in love with it. 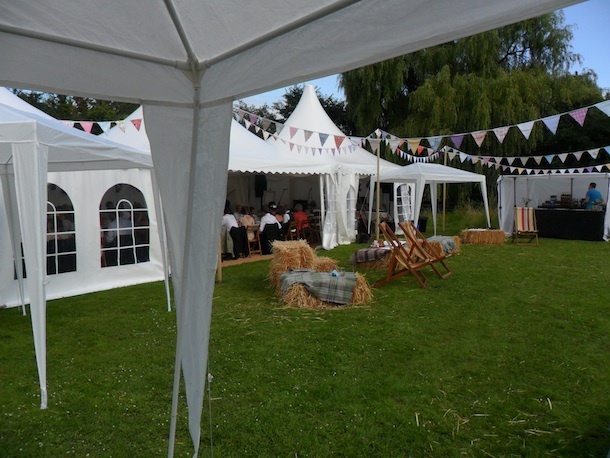 They choose a lovely iced sponge cake with a smaller gluten free cake and a glass bowl filled with love hearts and sherbet saucers. 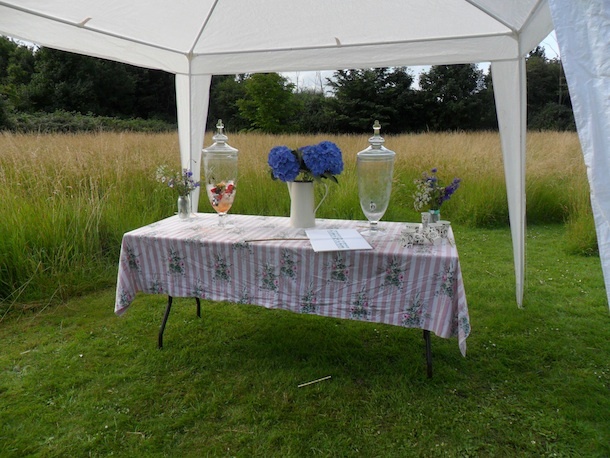 We filled our apothecary jars with pink lemonade and Pimm’s.